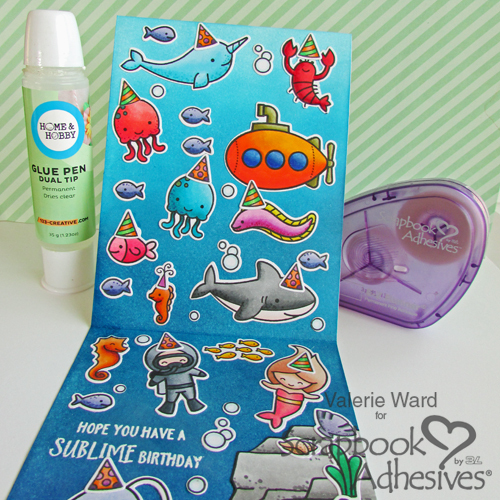 I have a super-duper, color-filled, fun & crazy-busy birthday card for you! Hello, crafters! 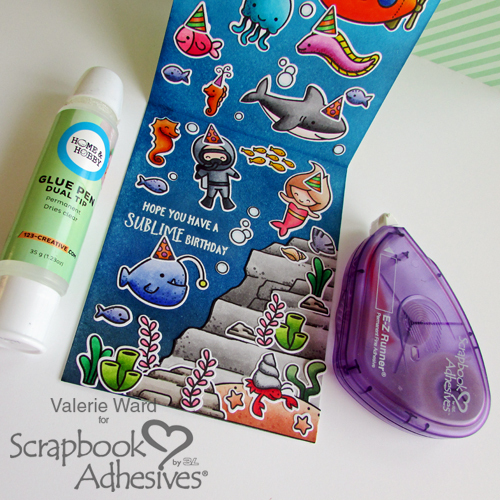 It’s Valerie here today sharing how I use my Scrapbook Adhesives by 3L® adhesives to really help me get through all the adhering of images with ease! First, I started by using my E-Z Runner Grand Refillable Dispenser to adhere the yellow sheet onto the front of the cardstock. 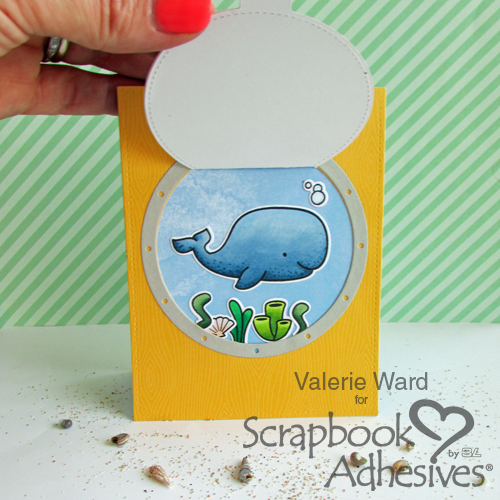 The colored images and the porthole frame were all adhered with Permanent Fine Adhesive. 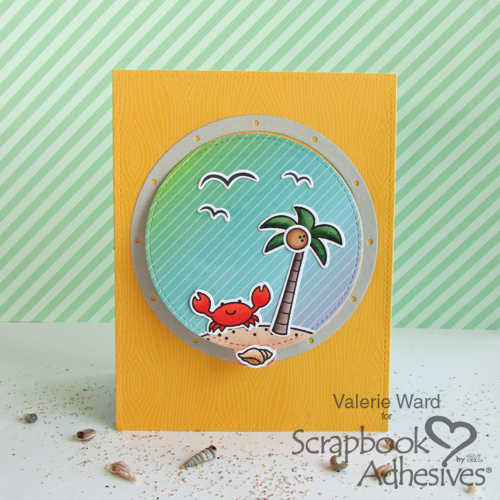 The porthole frame, the colored images, and the patterned paper were adhered to the card front using Permanent Fine Adhesive. 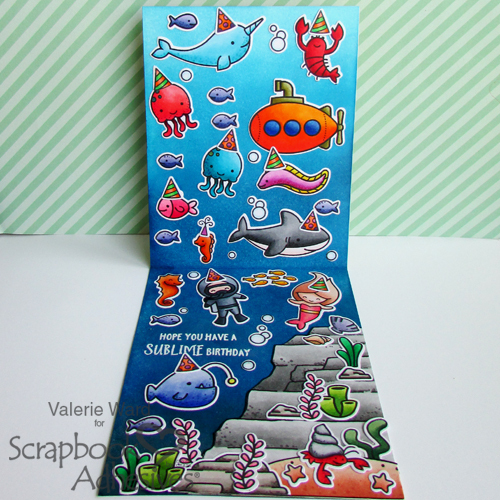 On the inside of the card, all the colored images were also adhered using either Permanent Fine Adhesive or the Dual Tip Glue Pen. It looks like quite the party, doesn’t it?! Thanks for stopping by and checking out the project we have for you today! 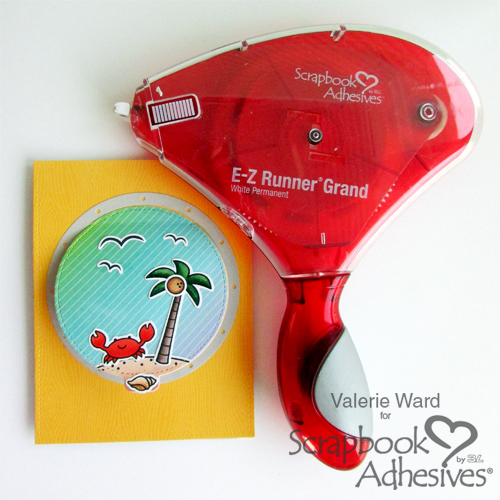 This entry was posted in Adhesives, Beginner, Cards, Crafts & Tutorials, E-Z Runner® Dispensers, E-Z Runner® Grand, HomeHobby by 3L, Intermediate, Permanent Adhesive, Skill Level and tagged Card, Card Making, Dual Tip Glue Pen, E-Z Runner Grand Dispenser, E-Z Runner Grand Permanent Strips Refill, E-Z Runner Permanent Fine, Happy Birthday, HomeHobby by 3L, Valerie Ward. Bookmark the permalink.